An increasing number of utilities are placing their services underground, and most District Plans require all services to new premises to be placed underground. Coming into contact with an underground power cable during excavation work could result in a serious injury or fatality. Other buried utility services may not pose a similar health risk but can prove extremely expensive to repair. The OSH publication Guide for Safety with Underground Services (see link below) provides useful information for working safely around underground services. The BeforeUDig service takes the hassle out of having to obtain plans from different asset owners each time you want to excavate. By using this service you can obtain plans from a number of asset owners, simply by making one enquiry. 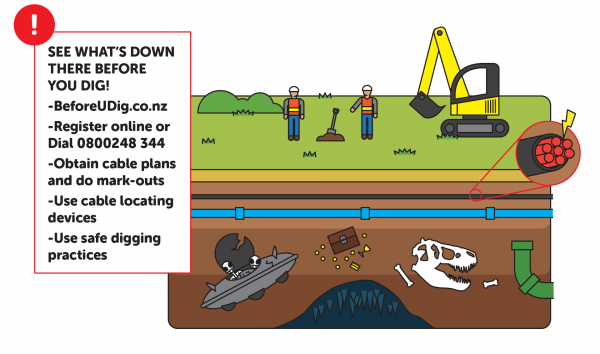 Call 0800 B4U DIG (0800 248 344) or visit www.beforeudig.co.nz to have your property assessed for underground cabling. It will take at least two working days to process your request, so plan ahead to avoid the risk. 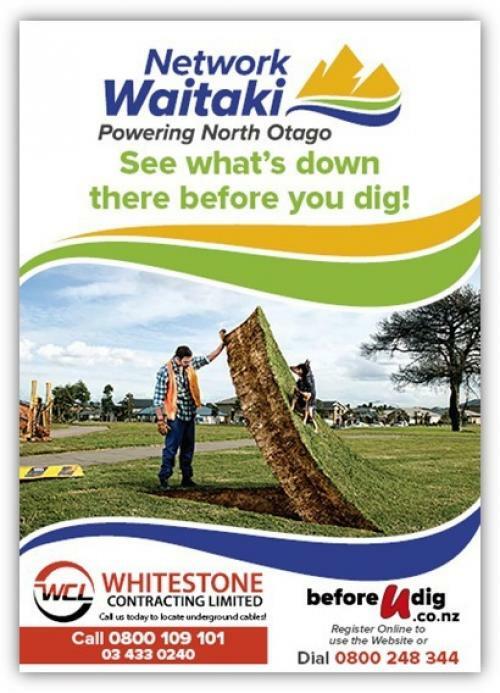 Network Waitaki does not provide cable location services; however these can be obtained locally by calling Whitestone Contracting Ltd on (03) 433 0240.